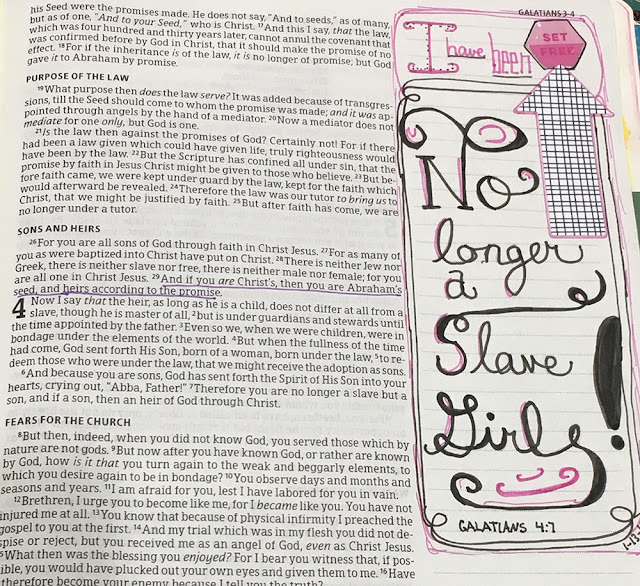 In a continued attempt to improve my lettering skills, earlier this year I joined in (a few days of) a scripture lettering challenge hosted be Amanda from the Move the Mountains website. 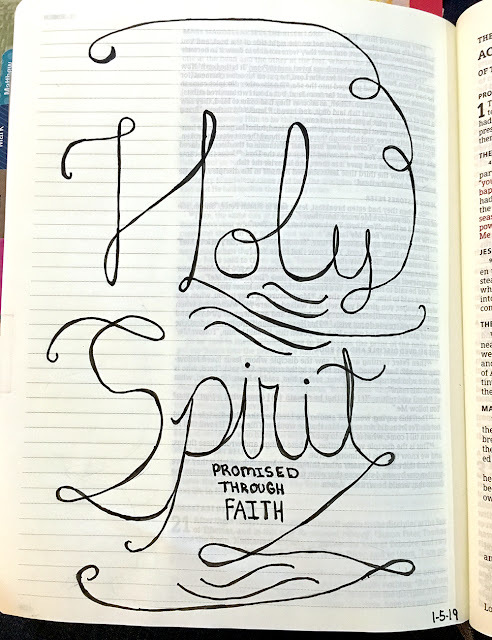 There was a short devotional video each day, along with a lettering example. 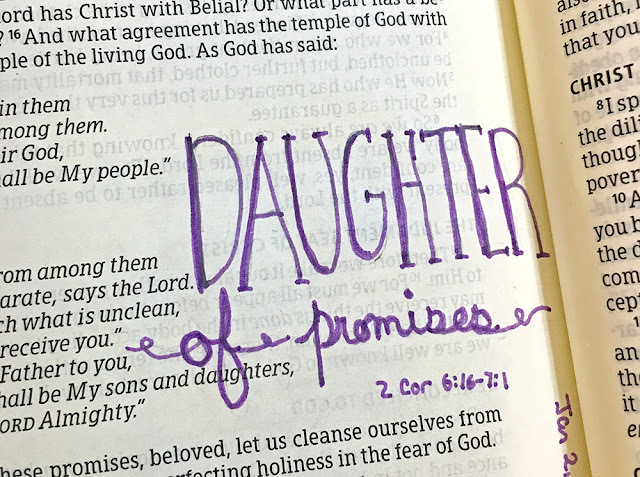 The topic for this series was "Daughters of Promise", and some of the letterings were short, simple reminders of the topic discussed. 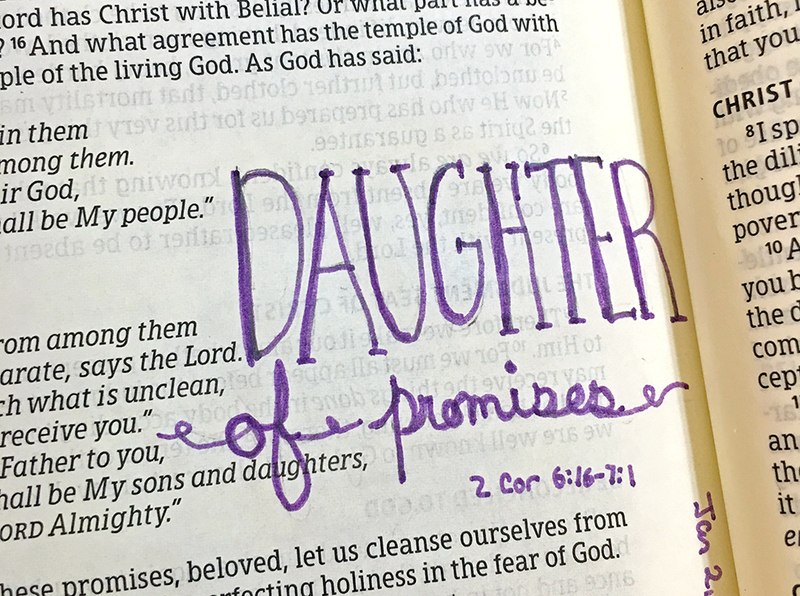 I added these simple reminders in various places near the referenced scriptures in my journaling Bible. 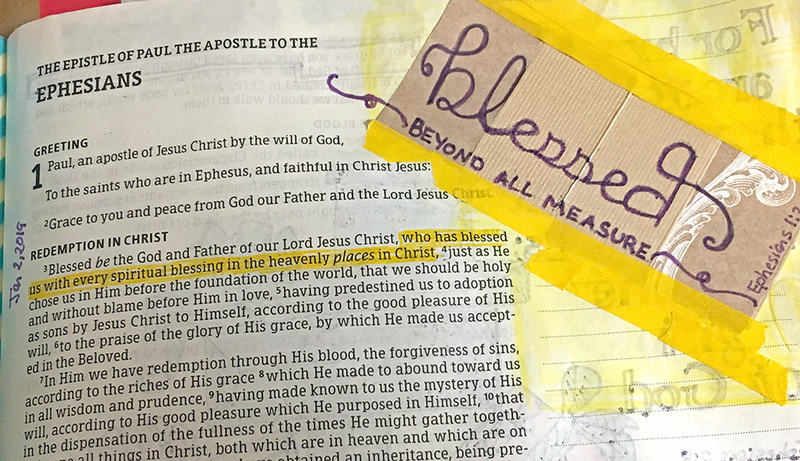 For the blessed reminder below, I used a small piece of patterned paper (and washi tape, of course) as a background because there was some bleed through from the other side of that page. Other times, the journaling fit better in the margin and worked well with a few bits & pieces (the arrow & hexie in the example below). I even got brave enough to try lettering on a full page in my interleaved Bible! While I didn't participate in the entire series, I enjoyed trying out the lettering styles and the reminders of God's many promises to us throughout His Word.